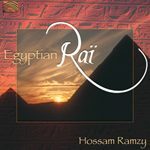 An album that was released in the early 90’s and was received with a strong response from lovers of Egyptian dance. It features some of Egypt’s most talented musicians like Samy El bably on trumpet, Farouk Ombor on Qaurter Tone Accordion and Mohamed Aly on Egyptian Nay. It contains dance songs that are very close to my heart.
. Songs like Eddalla Ala Kefak, a song that is very light hearted and sweet and Rannet Kholkhali and Ya Bent EL Sultaan, a song that has been an important addition to all Baladi routines. EL-Sultaan is being re-released today, due to the huge public demand for such an album, specially arranged and recorded with the dancers in mind. To read or write a review about this product please scroll down the page.